A crowd-annotated map at the March meeting. Please join us for the second public meeting about the Washington Ave/Patroon Creek Corridor Study. This meeting will present three roadway design options, focusing on traffic operations and tradeoffs. There will also be an an opportunity to provide your input on these alternatives for this important corridor. We hope to see you there! You might remember there was a public meeting this past March to provide an overview of the current state of the road and get input about how people might like to see it changed. Complaints expressed then ranged from concerns about speeding to the design being unfriendly to pedestrians and cyclists to a confusing layout of connections. Notable from that meeting was the consultants explaining that the road's current capacity is much greater than its actual use. They reported that the highest-volume segment gets 19,500 vehicles per day. That's a fair number of vehicles, but it's still below the threshold recommended by the feds for considering a road diet treatment similar to what was done on Madison Ave. This segment of Washington Ave has been getting a lot of attention in recent years because of the ongoing development along the corridor, including the addition of private student housing and the resulting increase in pedestrians. (Another large private dorm just opened this fall.) As a first step in addressing some of these concerns, the city of Albany lowered the speed limit on the stretch from 45 to 30 mph in 2016. This next meeting is Thursday, November 8 in University Hall on the uptown UAlbany campus. There's an open house at 4:30 pm, presentation at 5 pm, Q&A at 5:30 pm, and feedback at 5:45 pm. 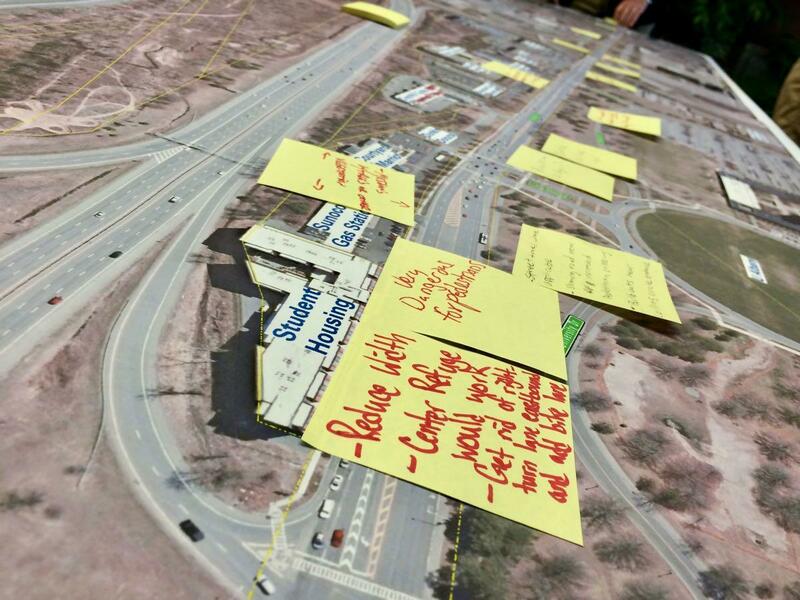 Could there be a safer, friendlier, better version of upper Washington Ave in Albany? That was the question at the heart of the the public kickoff meeting Wednesday for the Washington Avenue-Patroon Creek Corridor Study. 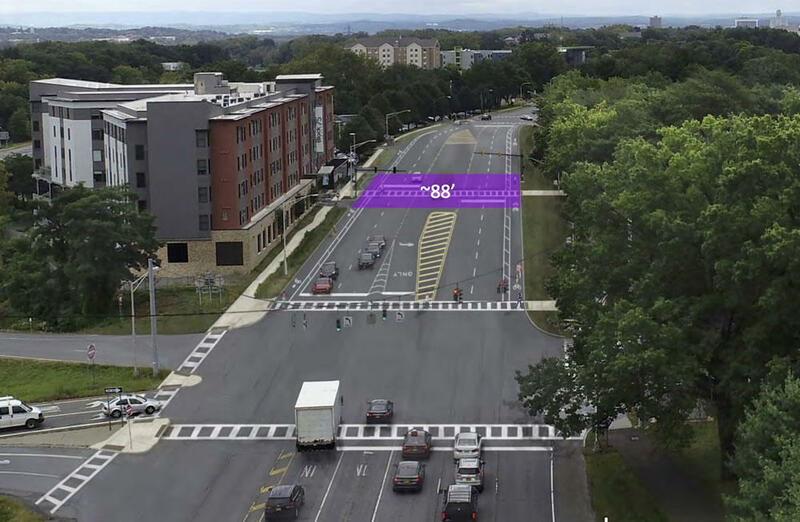 The Capital District Transportation Committee is working with the city of Albany, the University at Albany, and engineering consultants to look at how the important transportation artery could work better for all sorts of people -- pedestrians, cyclists, and drivers. This topic has been popping up a lot in recent years because of the ongoing development along the corridor, including the addition of private student housing. As a first step in addressing some of these concerns, the city of Albany lowered the speed limit on the stretch from 45 to 30 mph in 2016. "We want to know from the users of the road, the neighbors of the road, what you think of the road, what you think the problems are," CDTC executive director Mike Franchini told the crowd.